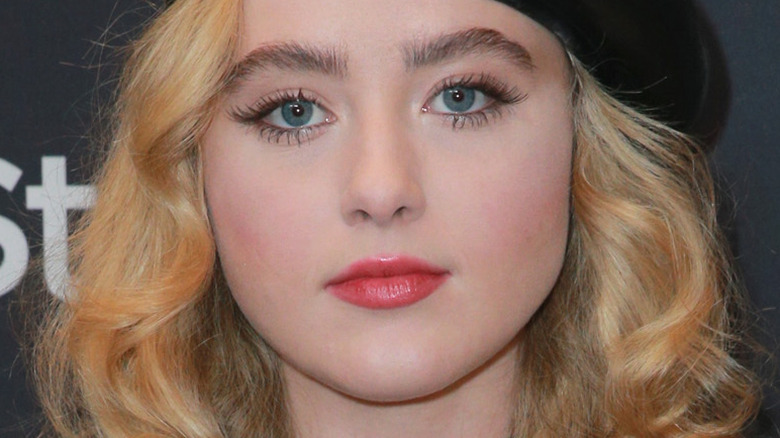 Kathryn Newton is aiming to be the very best, like no one ever was. The 20-year-old actress, who starred alongside Reese Witherspoon as Abigail Carlson in the acclaimed HBO miniseries Big Little Lies, has landed a leading role in Legendary Pictures' live-action Pokemon film Detective Pikachu (via The Hollywood Reporter). Newton will play a "sassy journalist" named Lucy. Newton's casting follows just two weeks after The Get Down actor Justice Smith was tapped for the male lead in the film. According to the outlet, Smith recently completed an "intense session of reading and testing actresses who would appear opposite him." It seems apparent that Newton was one face in that group of actresses–which reportedly included Stranger Things star Natalia Dyer, 13 Reason Why breakout Katherine Langford, and Split actress Haley Lu Richardson–and that the creatives behind the project thought she was the perfect fit. Based on the cuddly yet inquisitive Detective Pikachu character, who travels near and far to unravel mysteries and create new friendships, the forthcoming film has Guardians of the Galaxy scribe Nicole Perlman and Gravity Falls show creator Alex Hirsch attached as co-screenwriters. Detective Pikachu is intended to be the first installment in a new film series that explores the Pokemon franchise, and is a project that Legendary has been hard at work on ever since it acquired the film rights to the Japanese property in the summer of 2016. Longtime Pokemon Company partner Toho will handle distribution of Detective Pikachu in Japan, with Universal Pictures distributing the film across territories outside Japan. Fans can currently catch Newton on the silver screen in two separate films, Greta Gerwig's highly praised Lady Bird (the new highest rated film ever on Rotten Tomatoes) and Martin McDonagh's Three Billboards Outside Ebbing, Missouri. Detective Pikachu does not yet have a release date.